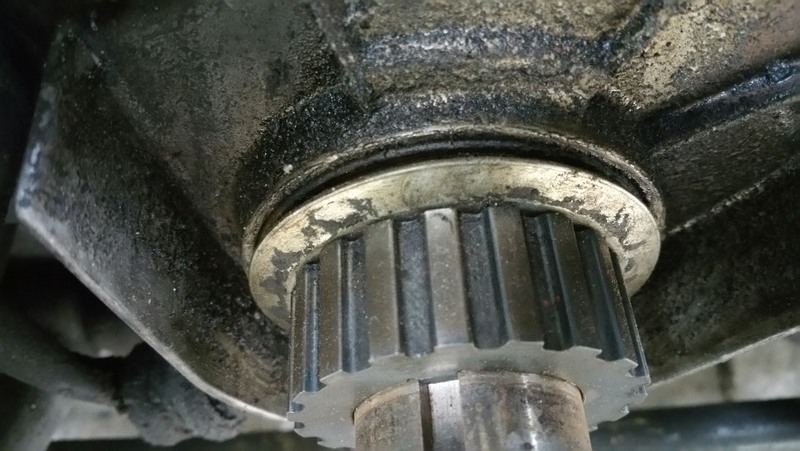 I need some assistance removing the Crankshaft Gear on my 1990 240. There is absolutely no room behind the gear for a puller or even a screwdriver. Any tips on getting this thing removed would be greatly appreciated. Also, what is the disk that is sitting directly behind the gear? It looks like a dust cover but it rotates freely, but it doesn't slide back and forth along in the direction of the shaft. Is this part of the seal? Also, should I replace the seal while I'm in there? 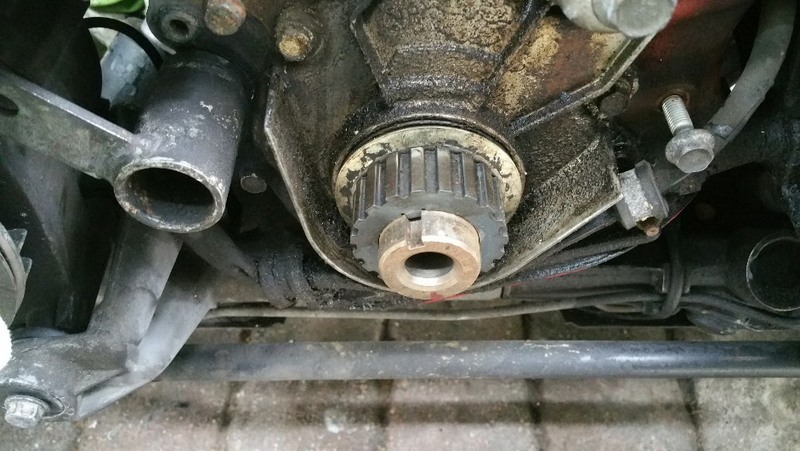 It's not leaking, though you can see some residual oil around the gear.
. My gear however was frozen in place. So I hit it with penetrating oil several times and ended up tapping the gear very gently with a small hammer to free it. Once it broke loose it slid off very easily. OK, that makes sense. Thanks for the response Nichals.